Are you suffering from tooth loss or advanced dental problems? Dental implants are one of the most innovative restorative dental treatments available today. Dental implants are titanium posts placed directly in the jawbone, serving as an artificial tooth root to permanently replace teeth. They can be used to replace a tooth or teeth that are lost from injuries, gum disease, or other reasons. Unlike other forms of tooth replacement, dental implants stimulate the jawbone, improving your dental health and treating the cosmetic pitfalls of missing teeth. One of the biggest reasons dental implants are necessary is that missing a tooth or teeth can make you feel self-conscious, which can impact your overall health and happiness. With this restorative dental treatment, you can have teeth that look real without impacting your quality of life, since they are held firmly in place while chewing, talking, and so forth. By knowing that your teeth look natural and beautiful, you will be more likely to smile more, which can improve your mood and mental health. Not to mention, they will feel like your real teeth, without the discomforts of dentures and bridges, which in itself can improve your mood. While the cosmetic benefits of dental implants might seem like reason enough to undergo treatment, they can also positively impact your dental health and stop tooth loss from spreading. Unlike other tooth loss treatments, dental implants improve your oral health by integrating with your jaw bone. The titanium implant physically conjoins to the jawbone, in a process known as “osseointegration.” This process stimulates the jawbone and gums, strengthening the support for your neighboring teeth. Not to mention, unlike dental bridges, none of the neighboring teeth need to be altered to complete the treatment, and the space between an implant and teeth can easily be flossed, making them easier to keep clean than bridges. What Happens During Dental Implant Treatments? Dr. Haws at Haws Family Dentistry will determine your dental implant treatment plan, depending on your dental health condition. For instance, patients with jaw bone density deficiency, gum disease, or multiple missing teeth might need supplemental treatments along with their dental implant treatment. For patients with only one missing tooth, a single dental implant and crown can replace the missing tooth. Patients with multiple missing teeth might require an implant-supported bridge or a full arch implant-supported denture. Your dental implant success will be highly dependent on the strength of the bone where the implant is inserted. Generally, upper back jaws are one of the most difficult places to insert an implant, due to the jawbone quality and closeness to the sinus cavity. A sinus augmentation might be recommended to help raise the sinus floor and strengthen the jawbone to prepare the mouth for dental implant placement. Patients who have gone a long time with untreated tooth loss often suffer from jawbone deficiency in the area where the tooth is missing. In these cases, we might recommend a bone graft to prepare the area for surgery. 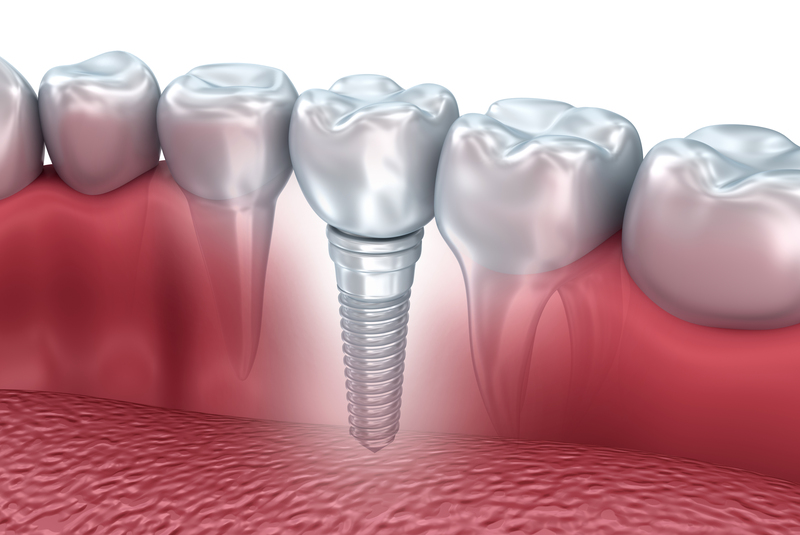 Most patients with missing teeth or advanced dental problems are candidates for dental implants. While most patients are candidates, some patients are more ideal than others. An ideal candidate for dental implants are generally in good health with adequate jaw density to support the implant. The most successful candidates have healthy gums with no periodontal disease. Certain candidates are also less likely to experience success with dental implants, like those who are heavy smokers or suffer from untreated diseases, like diabetes and heart disease. Before beginning a dental implant treatment, Dr. Haws will assess your health, ensuring that you have a successful dental implant treatment. Want to learn more about dental implants at Haws Family Dentistry in Brigham City, UT? Call our office today at 435-919-5100.